When my advanced students tell me they want to improve their listening skills, I always tell them to listen to PODCASTS! Podcasts are a fantastic way for your learners to improve their understanding of spoken English. If they are not interested in the topic of a podcast, they will find it more difficult to listen to so MAY THINK THEIR LISTENING SKILLS ARE GETTING WORSE but they are probably JUST BORED! Listen to podcasts about subjects which are INTERESTING, RELEVANT and USEFUL for them.If they want to be successful in the business world, listen to business podcasts. If they love football, they can listen to football podcasts. Exposure to authentic English is essential for students who want to take advanced qualifications, such as the CAE, CPE or IELTS, and these podcasts will help you prepare for the listening parts of these tests. Pause and repeat to check your understanding. Good podcast presenters are skilled speakers so listen to their pronunciation as a good model. Your learners can note down some of the phrases and expressions the presenters use to express ideas, give opinions and agree and disagree with other speakers. The BBC has a fantastic collection of podcasts. Some of them are produced for an international audience so you can hear interviews with non-native speakers of English. These are usually found on the BBC World Service channel. 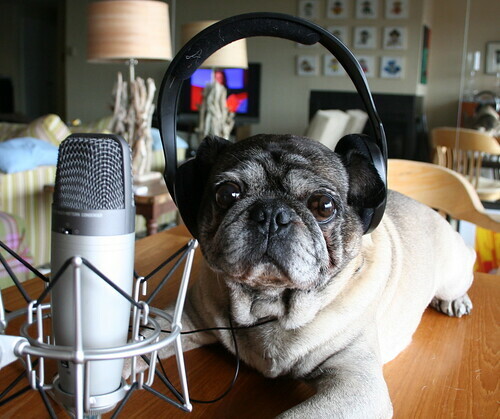 Here is a list of podcasts which may be useful for higher-level English learners. Great for practising short presentations and EAP students. Global thinkers present new political, cultural and scientific ideas. (7-8 minutes). Business Discussion programme. There is a UK edition and an International edition. Challenging for high-level Business English students. So, if you want to really improve your English, listen to a podcast in the gym, when you go for a run, while you’re doing housework, on the bus, train or in your car. Are there any other podcasts which you recommend to English learners?